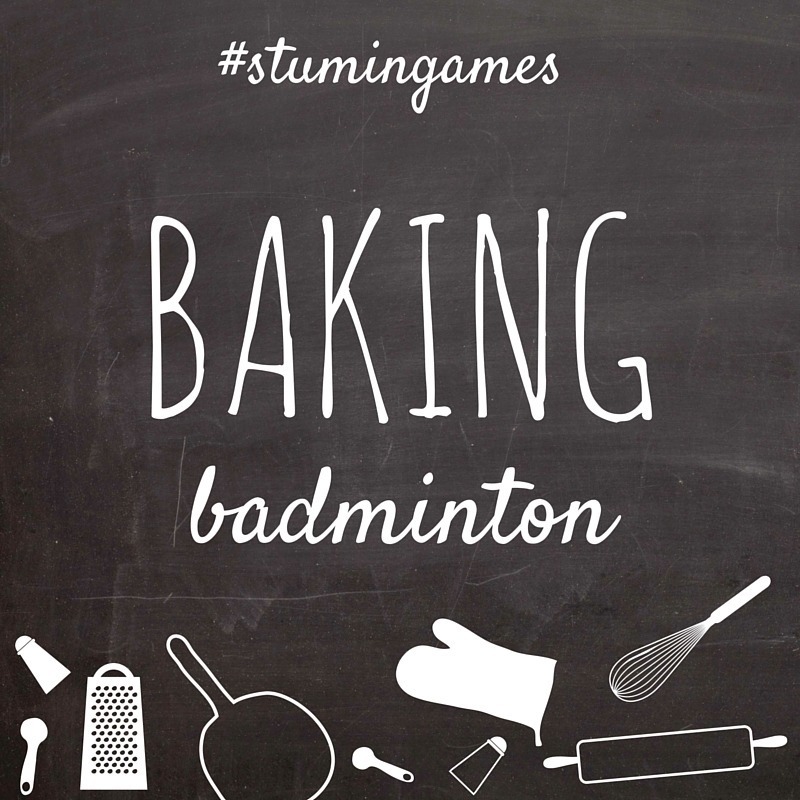 Baking Badminton is one of the most fun and hilarious games your group will ever play! Trust us when we say that it’s going to be an instant classic!! You will need some room to play Baking Badminton. It will also need to be played in a space that is easy to clean up or you don’t care if it gets a bit messy. Section an area off that is approximately the size of a volleyball court (smaller is okay) and create boundaries. If you don’t have lines, use Tape , a rope or markers to indicate your boundaries. The goal of the game is just like badminton and volleyball, in that you want to serve your baked good over the net (if there is no net, just make a middle line and the rule is that it has to cross over). If it is hit over, the other team must try to hit it back over the net within three hits. If it lands in bounds, it is a point for the team that hit it over. If it lands out of bounds, the team that hit it last loses a point. Instead of using a badminton racket, each player will be equipped with a baking sheet. We do caution each team to be careful when swinging the sheets, and highly recommend using disposable ones that are not so solid. You can usually find them at a dollar store. The fun part of this game is that it gets crazy and messy! If a baked item falls apart as it’s being hit, the team with the least amount of the item on their side is the winner. We’ve listed several items you can play with, but donut holes (Munchkins from Dunkin Donuts) are the easiest item to hit. Whoever scores 10 points (you can go higher if you’d like) first is the winning team! 1. Use crazy items like a whole cake or even a pie. Things will get messy, but it is awesome! 2. The more people you have on the court at once, the more difficult it will be to hit the items over. While you can use six, we recommend using 2-3 players per team. Everyone may not be able to play, but it’s a great game to watch as well. 3. Award the winning team a cake or let them smash a whip cream pie into the losing teams faces. Either way, it will be amazing! 4. If there was ever a game to take pictures and videos, this is it! Post them on Instagram, Facebook, Snapchat and Twitter to let everyone see the madness!